Consciousness is a by-product (epiphenomenon) of the brain, and therefore the self (our sense of personal identity) is an illusion. Nobel-prize winner Francis Crick opens his book on his “scientific search for the soul” with these words: “The Astonishing Hypothesis (the title) is that ‘You’, your joys and your sorrows, your memories and your ambitions, your sense of identity and free will, are in fact no more than the behaviours of a vast assembly of nerve cells and their associated molecules” (1). “Somehow all this weird biological stuff results in the experience of you being you”. In programme 3 (4/2/16) he turned his attention to the question of free will: “Who’s in control of what you do? It sounds like a simple question but the facts (my emphasis, he does not say his opinions) might surprise you. Almost every action that you take, and every decision that you make, and every belief that you hold, these are driven by parts of your brain that you have no access to. We call this hidden world the unconscious, and it runs much more of your life than you would ever imagine”. The psychologist Susan Blackmore has become an enthusiastic convert to such ideas; she has apparently succeeded in freeing herself from the bizarre delusions that we ordinary members of the public suffer from. She was asked to contribute to John Brockman’s book What We Believe but Cannot Prove, where she quotes Samuel Johnson: “All theory is against freedom of the will; all experience for it”, then comments: “With recent developments in neuroscience and theories of consciousness, theory is even more against it than it was in his time. So I long ago set about systematically changing the experience. I now have no feeling of acting with free will, although the feeling took many years to ebb away” (p41). “As for giving up the sense of an inner conscious self altogether – this is very much harder. I just keep on seeming to exist. But though I cannot prove it, I think it is true that I don’t” (p42). She had previously told her story in In Search of the Light, and also featured in programme nine of a BBC Radio4 series The Uncommon Senses, The Sense of Self (30/3/2017). 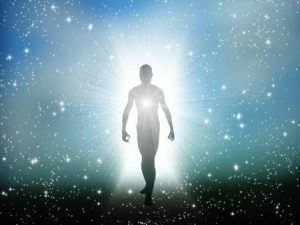 As a student she had had an out-of-body experience, which convinced her that she was “a spirit or a soul, and I will live forever, and I am much more important than this temporary body”. This led her to become very interested in parapsychology, and to do much research in that area. Failing to obtain any meaningful results, however, she eventually became disillusioned and moved to “the complete reverse”. She now believes: “This amazing, evolved, clever organism is constructing an illusion about an inner being, that doesn’t really exist”, and, following some recent research, that “it seems the out-of-body experience is a failure of your brain” (3). Such ideas appear to be total nonsense from the point of view of the general public, which is why the scientists have to make desperate appeals for their ideas to be accepted. Francis Crick follows his quote above with this: “This hypothesis is so alien to the ideas of most people alive today that it can truly be called astonishing”. So could the public be right and the neuroscientists wrong? Lyall Watson, an open-minded biologist, expressed the public’s position very eloquently in these terms: “People always agree that within their bodies there exists a spirit, an entity conscious of its own existence and of its continuity in time, a creature that feels and perceives and wants. We all suspect that somewhere inside there is an I, an inner self. All people of all the human cultures we know about agree on this; there’s my body and then there is me. It is the I that wills that body to move, that makes patterns of incoming sensations, that knows passion, that feels pleasure. There is universal agreement about such a dichotomy and not a shred of evidence to prove that it exists. There is nothing to explain the fantasy except a certainty that it is so” (4). The obvious question to ask is, why do these neuroscientists believe the extraordinary things they do? One possible answer is that the combination of two dominant “scientific” paradigms, the Big Bang and neo-Darwinism, makes such conclusions inevitable. At the beginning of the universe, there was no life or consciousness, therefore life must be a by-product of inanimate matter. It is assumed that bacteria and single-celled organisms had no consciousness, therefore consciousness must be an (unexplained and unnecessary) by-product of evolutionary processes. For example, if they had read carefully one of my seminal texts Beyond Physicalism (by Edward Kelly et al.) (5), some doubt (hopefully) might have entered their minds. Kelly’s well-argued assertion is that the brain does not generate consciousness, it is an organ which limits it. It is therefore at least possible that consciousness is independent of the brain. The problem is that the neuroscientists I have mentioned are so addicted to materialist science that they are unwilling even to contemplate this possibility. It’s a shame that the BBC does not find time to make programmes about their ideas.